Ok, so I’ve got the luxury of time on my hands. And what better way to spend it than brushing up my PhotoShop skills and then boring everyone with the results. 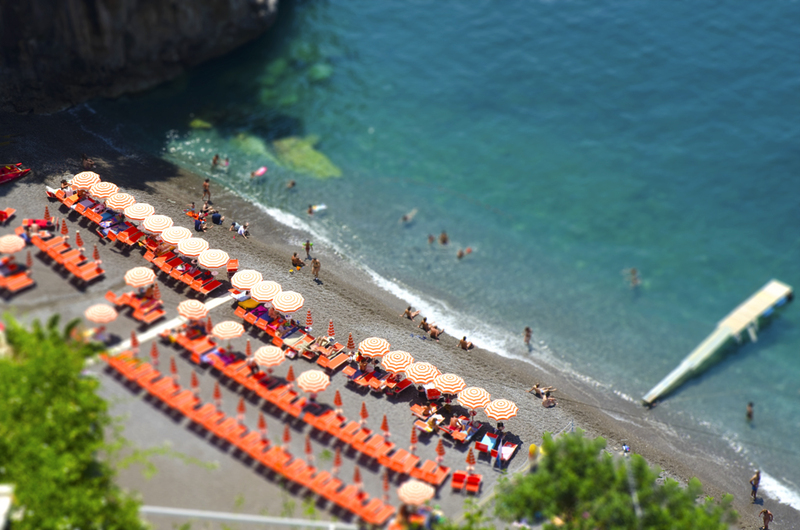 In particular a process called “tilt shift” photography which makes a photo appear to be “model-like”. The purist approach to this involves special camera lenses and vast amounts of setup time. But good old PhotoShop can emulate the look with quite impressive results. I’ve taken a shot of the local beach and had a wee play. This entry was posted in Amalfi Coast, Italy, Positano and tagged Arienzo, Beach, Holiday, Italian, Italy, photoshop, Positano, tilt shift by toscanakiwi. Bookmark the permalink.